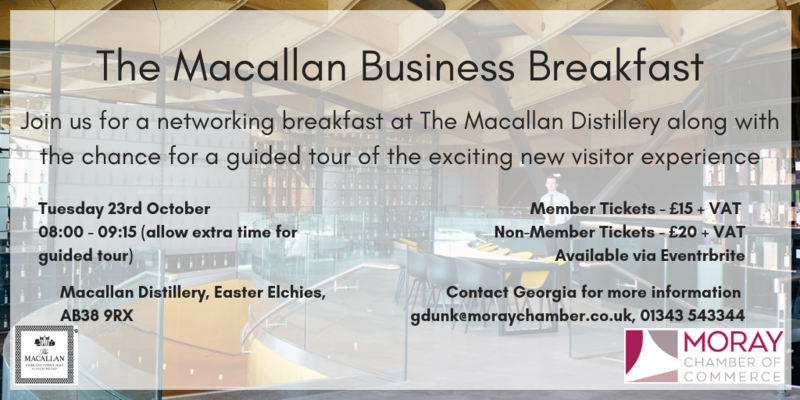 After the success of our event in June, join Moray Chamber of Commerce at The Macallan Distillery once again for a networking breakfast and the opportunity to have a guided tour of the exciting new visitor experience. We look forward to seeing you there for a catch up and some breakfast in the breathtaking surroundings of the new Macallan Visitor Experience. Please CLICK HERE to book your tickets.